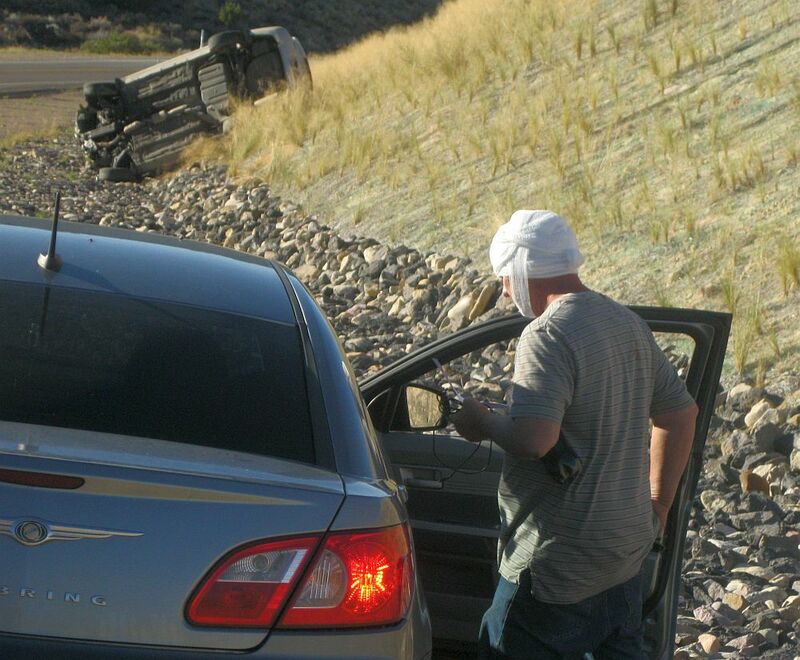 TOQUERVILLE — A moment of inattention on state Route 17 Saturday morning left a Toquerville resident with head injuries and a badly damaged car after his car rolled off the side of the road and came to rest on its side. 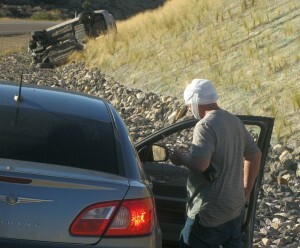 There were no witnesses to the 8 a.m. crash just south of Anderson Junction. 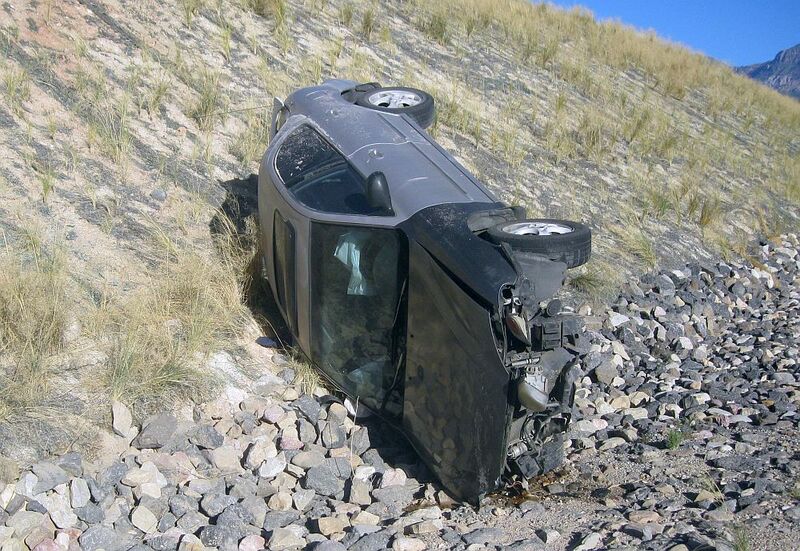 Hintze said the man and his dog were the only occupants of the car, and they were both out of the car and sitting down by the time authorities arrived. The man suffered minor head injuries and was treated at the scene by paramedics. He refused transport to the hospital by ambulance, and Hintze said he planned on having his family take him to the hospital. 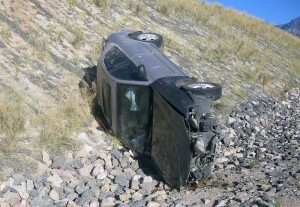 The man was wearing his seat belt and the air bags did deploy in his vehicle.